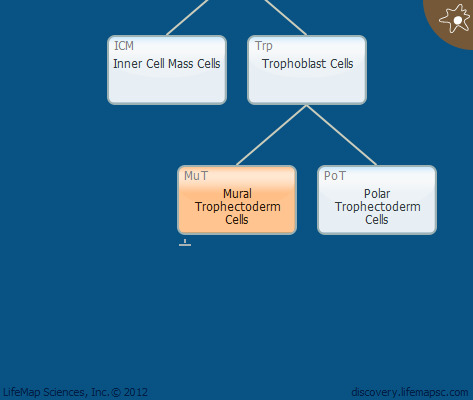 In mouse development, a population of trophoblast giant cells (TGCs) develop from the mural trophectoderm cells. TGCs are terminally differentiated polyploid cells that are formed by endoreduplication and mediate invasion of the conceptus into the maternal decidua. Subsequent secondary giant cells arise from the ectoplacental cone progenitor cells, and have been suggested to also directly arise from the chorion.